professionals working in the field of new media art and can attest to the master program matches the equivalent experience (recognized by practitioners of media art, performance art, visual art, film, photography, sculpture, fashion / textile design, sound design, animation and web design), if they are able to provide satisfactory results on the basis of experimental training evaluation process. Liepaja University doctoral study program “New Media Art” is the only program in Latvia addressed directly to artists. It is a licensed program that was first open in 2013. 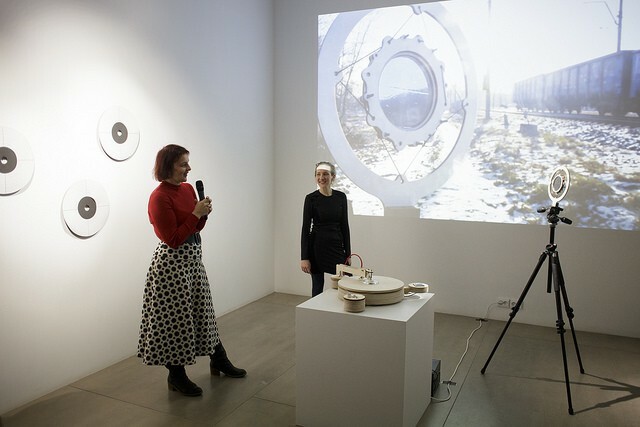 Doctoral program “New Media Art” was developed to encourage practice-based doctoral studies in Latvia – as it is elsewhere in Europe. In this innovative program the academic theoretical research is a basis for artistic creation or practice-based research. Objective of this program is to further the development of new, innovative theories and critical analysis in the field of new media and interdisciplinary arts, as well as the creation of new art forms and new art works that being based in artistic research with the integration of other scientific fields contributes to the creation of new knowledge. As a result of the studies, doctoral candidates are expected to deliver a high-quality doctoral thesis that is accompanied with an innovative artwork or creative project. Staff team is gathered with outstanding New Media artists and researchers of the field – Rasa Šmite (LV), Ilva Skulte (LV), Christopher Hales (UK), Raivo Kelomees (EST) and others. Study Environment: study program is based at the Art Research Lab (MPLab) – Liepaja University building at Kurmajas prospekts 13. This space is equipped with all necessary technical resources and mediatheque through projects financed by Europe Economic Area and Norwegian bilateral Financial mechanism. Students and researchers have the exclusive possibility of working at MPLab space at any time 24/7. Form of study: program is based on an individual initiative in research, it does not offer regular lectures / training. Face to face meetings 3 times per semester in joint seminar (symposium) form (1 week) held in Liepaja and Riga.